Call the NAMI Metro HelpLine at 410-435-2600 for any questions or assistance. NAMI Metropolitan Baltimore invites you to join us for a performance of Twisted Melodies at Baltimore Center Stage. You don’t want to miss this incredibly popular one-man show about Donny Hathaway when it returns to Baltimore in May! 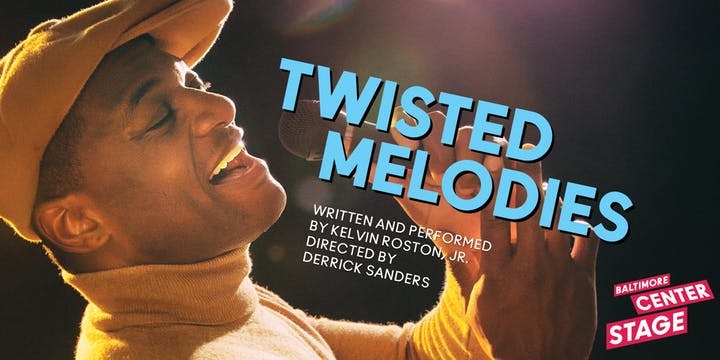 Twisted Melodies is based on the life of ’70s soul singer and composer Donny Hathaway, perhaps best known for his duets with Roberta Flack “The Closer I Get to You” and “Where is the Love?” Twisted Melodies is an immersive play about the brilliant musician’s compelling inner struggle. Torn between the muses that inspire him and the mental health condition that torments him, Hathaway evaluates the choices in his life in a gripping performance by Kelvin Roston, Jr.
Join us for “NAMI Metro Baltimore night” at Baltimore Center Stage on Thursday, May 16th. Tickets are $65, and include premium seating for the show, and a sweet treat at the end of the night! NAMI Metro Baltimore guests will also have access to exclusive promotions from partnering restaurants in the Mt. Vernon neighborhood. Stay tuned for additional details! All proceeds will benefit NAMI Metro Baltimore’s free mental health education, support, and advocacy services. 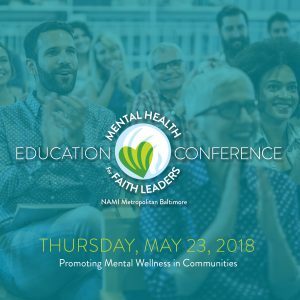 NAMI Metropolitan Baltimore is an affiliate of NAMI, the nation’s largest grassroots mental health organization. 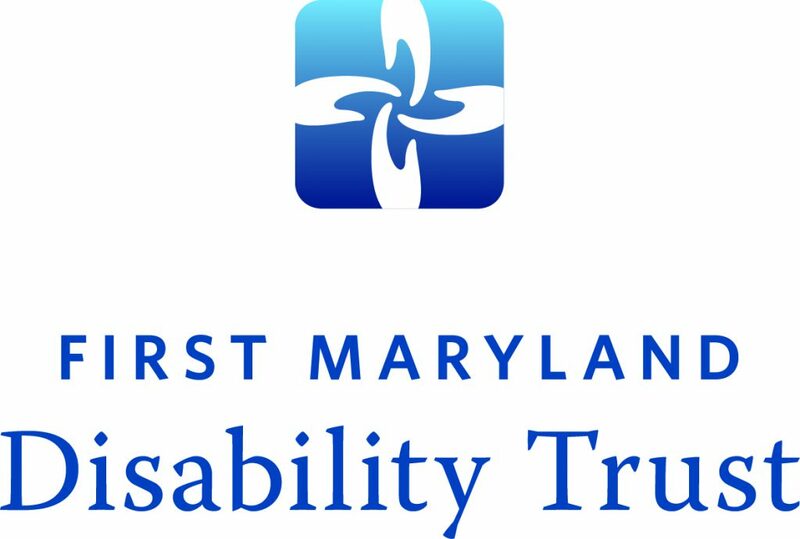 We serve individuals living with mental health conditions, their families, and communities throughout Baltimore City and Baltimore County. To purchase tickets, visit Eventbrite.com. Call the NAMI Metro HelpLine at 410-435-2600 with questions or for assistance with purchasing tickets. Tickets must be purchased from NAMI Metro Baltimore in order for proceeds to benefit our services. Although nutrition is still considered a “young” science, it is one that resonates with many. Interest in nutrition and how eating impacts our health is of great interest to people of varying ages and health histories. 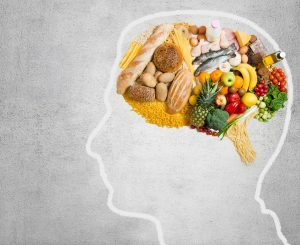 While much attention within nutrition remains on physical health, the influence on mental health is equally valuable. Nutrition is the sum of its parts. What we eat over time, and other lifestyle factors such as stress management, exercise, and sleep all play a role in our physical and mental health. One of the best ways to improve our health through nutrition is adopting a big picture perspective, and keeping our focus broad. Taking into consideration how our overall lifestyle contributes to health, and then taking steps to make the best changes for our personal goals. As you’re making changes to your nutrition, consider the idea of being inclusive rather than exclusive with regards to nutrition, by adding in rather than taking away. Try new foods, look for new sources of inspiration such as cookbooks or magazines, find a helpful meal planning system, and strive to make eating enjoyable. Eating at regular intervals keeps our energy levels in balance, and in turn helps our focus and attention. Mood can change when we are overly hungry, too full, or ignoring our physical cues altogether. Cultivate mindfulness when eating, and tune in to how you feel physically and emotionally. Make note of what foods and combinations of foods feel energizing, and what leaves you sluggish. While there are many nutrients associated with improving mental health and mood, such as omega-3 fatty acids, magnesium and the B vitamins folate and B12, it is the overall intake and lifestyle that has the greatest impact. If we’re eating a variety of foods, and enjoying what we eat, we are more likely to meet our various nutrient needs. In addition, if we are caring for ourselves through adequate sleep, moving our bodies, and managing our stress, we are in a better position to make healthful decisions about food. Research does not always indicate a cause and effect, but can often make associations with nutrient intake and changes in specific symptoms. For example, omega-3 fatty acids have been widely studied for their anti-inflammatory properties, and their link to decreasing depression symptoms. Vitamin B12 supports neurologic function, and may benefit mood. Folate, also a B vitamin, is associated with depression if levels are too low. If you have concerns about a specific nutrient playing a role in improving your mental health, such as taking omega-3 fatty acid supplements for symptoms of depression, talk with your health care providers. Including a Registered Dietitian (RD) as part of your health care team could help clarify these concerns, and provide individualized information about your health and overall nutrition needs. Making changes to our eating habits is a process that takes time and perseverance. Paying attention to your body, and your needs is one aspect of care that can translate to good health, both physically and mentally. Samantha Lewandowski is the Nutritional Care Coordinator of Outpatient Services at Sheppard Pratt’s Center for Eating Disorders. A registered dietician, she received her BS in Nutrition from the University of Delaware and her Masters in Health Promotion Management from The American University. Her previous experience includes providing clinical nutrition services at a long term care and rehab facility and providing health promotion services for an employee wellness program. Samantha joined the Center for Eating Disorders staff in 2006, and her main role is working one-on-one with patients in the outpatient setting. As the daughter of a psychiatrist, I grew up hearing about the great mental health services that NAMI provides to the community. I proudly wore NAMI hats and shirts at NAMIWalks year after year, but I did not fully appreciate or understand what I was supporting until this year. During an internship with NAMI Metropolitan Baltimore this year, I became more aware of the wide scope of support that NAMI offers. Coming from Boston, I was new to the Baltimore area and hesitant to start a new internship on top of a full academic workload. The entire NAMI Metro Baltimore staff took me under their wing and guided me through what turned out to be one of the most rewarding experiences of my life. During an information session that I helped organize in the Madison/East End Neighborhood, I was listening to volunteers share their experience with mental illness when a concerned aunt shared about her nephew who was living with a co-occurring mental illness and substance abuse disorder. I started realizing how important it is that NAMI supports not only people who are directly suffering from a mental illness, but also their loved ones. Family and friends who support someone living with mental illness face significant hardship, stress, and pain; they need support, too. As we wrapped up the session, the concerned aunt looked much more relieved to know she was not alone in what she was feeling—an overwhelming desire to fix things for her nephew while struggling with the knowledge that her nephew must be the one to take the first step. Just knowing that NAMI Metro Baltimore was available to both her and her nephew was a source of comfort for her. 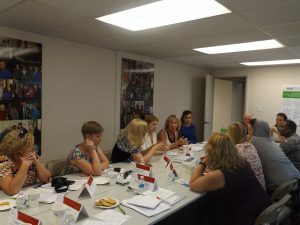 At another information session that focused on trauma, I heard people talk about traumatic experiences in their lives, including miscarriages, deaths of loved ones, and breakups. I realized all of us have gone through something traumatic at one point or another in our lives. We all have a past that we are working through and a future that we are working towards. It is resources like NAMI that let us know we are not alone and that help is available when we are lost. One of the most important lessons I learned during my internship is this: no one is immune to mental illness. Anyone’s mental health can change, and anyone can have a loved one who develops a mental illness. NAMI aims to wipe away the stigma that is so often associated with mental illness which prevents people from seeking the help they need. This is the point of NAMI’s information sessions and classes—to give people an outlet to ask for help and to provide guidance during a time of need. Naomi Plasky served as the 2015-2016 Johns Hopkins SOURCE Service Scholar at NAMI Metropolitan Baltimore. She supported outreach efforts to expand NAMI’s support and education programs in previously underserved . Naomi is pursuing a MPH/MBA at the Johns Hopkins Bloomberg School of Public Health. The annual NAMIWalks Maryland is coming up on May 21st, and I am the proud team captain of a group of NAMI Metro Baltimore volunteers. We give In Our Own Voice presentations regularly in the community, so we named our walk team “Our Voices Matter!” When asked why my teammates and I walk, I had more than one answer. We walk to bring awareness about mental illness to the community. We know that one in five people struggle with some form of mental illness, and so, as I like to tell people, every single person in the world is somehow affected by it, whether they know it or not. We are daughters and sons, spouses, parents, employees, volunteers, neighbors, and friends. We are everywhere. We come from all walks of life. And we are just like everyone else. We walk to ensure that no one will ever have to pay to participate in NAMI Metro Baltimore programs. NAMI Metro Baltimore is committed to helping those with mental illness through life-changing programs and classes that are free of charge. We want them to be able to continue helping others without ever having to ask for a single penny from individuals impacted by a mental health condition. We walk to erase the stigma associated with mental illness. Far too many members of the public think that people with mental illness are lazy, crazy, “psycho”, not productive, and to be feared. That could not be further from the truth. We have been negatively labeled for far too long. We want people to know that those stereotypes are false. We have an illness, just like those who have cancer, diabetes, or any other physical illness. Our illnesses should be respected and treated with dignity, because they are physical illnesses and should be treated as such. We have been through so much, and continue to fight battles every single day that most people know nothing about. We are brave, strong, determined, and passionate about our own recovery. We have survived so much and we are here to tell our stories of what we have overcome. We walk to share our stories of living well with mental illness. We want to show others that they can too. We’ve been there. We know what it takes, and how the benefits of recovery are worth the hard work that it requires. We know that NAMI Metro Baltimore is a wonderful resource. 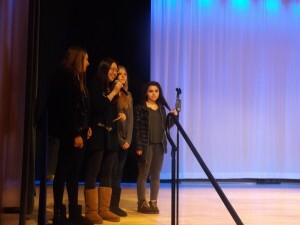 We are ‘In Our Own Voice’ presenters because we want those who are really struggling to know that they can overcome—they can live well. We walk because we love volunteering. We are deeply committed volunteers striving to help the community realize that, even though we have been through a lot, we are just like everyone else. We also aspire to help those living with mental illness know that they are not alone. We are living proof that anyone can live well with mental illness. I hope you will join me and NAMI Metro Baltimore in this walk to show everyone that those living with mental illness are important and that our voices matter! Megan Roach is a NAMI Metropolitan Baltimore volunteer and is a trained In Our Own Voice presenter. Register your team today to participate in the 14th Annual NAMIWalks Maryland on Saturday, May 21st. I wanted to spark public awareness of the strong connection between those in need and those who want to help. So I decided to launch a philanthropic business called A New Day (AND) Designs that would support non-profit organizations who share in a mission to celebrate and support resilience of the human spirit. Here at AND, we design and produce various kinds of jewelry and other products which are sold online. All of our products contain the AND logo, a union of the ‘&’ symbol (representing connection of strength of community and support for one another) and the rising sun (symbolizing the promise of a new day). It represents Resilience, Strength, and Grace. When wearing and sharing this symbol, it is like a talisman, a reminder of our inner strength and the promise of tomorrow. With every purchase of an AND product, we donate all profits to our designated non-profit beneficiaries, including the National Alliance on Mental Illness – Metropolitan Baltimore. 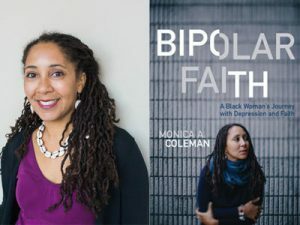 NAMI Metropolitan Baltimore connects people to a supportive community of peers who help one another cope with the challenges of living with a mental health condition. Each year, NAMI Metro Baltimore provides essential education, support, and public awareness services at no cost to more than 4,500 people in Baltimore City and Baltimore County. NAMI Metro Baltimore’s programs include support groups, education classes, workshops, presentations, and mentoring programs – all of which help make a positive change in the lives of people living with mental illness and their loved ones. To learn more about A New Day Designs and its products, please visit www.anewdaydesigns.com. Randee Greenwald is the founder and CEO of A New Day (AND) Designs.